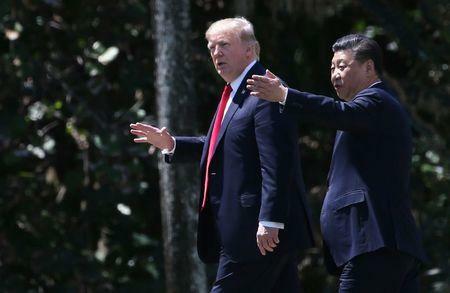 PALM BEACH, Fla. (Reuters) - President Donald Trump pressed Chinese President Xi Jinping to do more to curb North Korea's nuclear program and help reduce the gaping U.S. trade deficit with Beijing in talks on Friday, even as he toned down the strident anti-China rhetoric of his election campaign. U.S. Commerce Secretary Wilbur Ross said the Chinese had expressed an interest in reducing China's trade surplus as a way of controlling their own inflation. "That's the first time I've heard them say that in a bilateral context," he said.